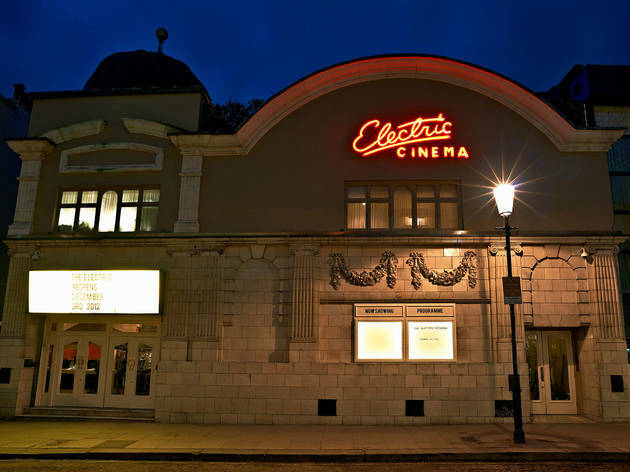 The Electric in Notting Hill is one of London’s oldest cinemas and definitely the most romantic. Owned by the Soho House group, it’s been beautifully restored, with luxurious leather armchairs, footstools, lush cashmere blankets and waiter service delivering cocktails to your chair. What makes the Electric date-perfect is that seats on the front-row have been ripped out and replaced with six luxurious, velvet-lined double beds – ideal smooching. And best of all, it’s on Portobello Road, so you leave feeling like you’re in a Richard Curtis movie. 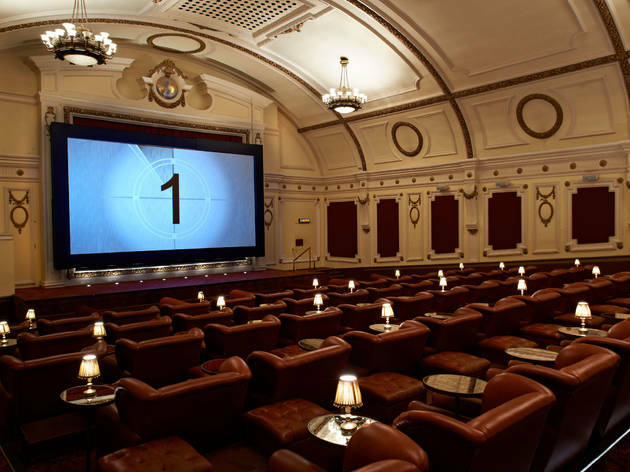 The most tip top cinema in london! Such a great place to watch a film. We got the bed last time I went,which made up for the fact it was the front row! What a luxury,though. The bed was a massive red expanse with matching plump pillows to rest on. More than enough room to splay out or snuggle up and to have your snacks next to you : ) I have also sat on the sofa's and they are great too and the best seating in the house. A small cinema but good screen and sound. They also have a bar and snacks at the back. my only bugbear was the hot food. £9 for a hotdog that is ready made,a bit cold and you have not choice over mustard or ketchup,it already comes with a bit of both. Odd. If they sorted their food out,I would give it five stars no doubt. This is such a great place to watch a movie. Pricey,yes, but for any film buff it's worth the expense. You may have to book your tickets a month in advance but it is worth the wait! The entrance to the cinema is a very fun and old school 1950's style, with a ticketing booth, chandelier and wooden pick'n'mix drawers. The cinema itself is amazing, with leather arm chairs, sofas and beds to choose from, you also have a side table, foot stool and cashmere blanket to help you relax. 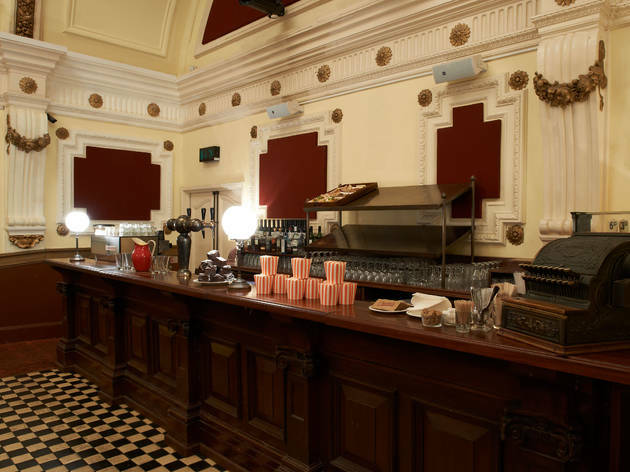 There is the added option of a bar (how could you resist) serving drinks and cakes, you can also have dinner brought to your seat! When you think about how much a cinema ticket costs these days anyway this is 100% worth the extra £3/4. I went last week for the first time and it was amazing!! It’s a totally new experience of “cinema”. Slightly more expensive than other cinemas but it’s worth every penny. The interior is really beautiful. You get your own comfortable sofas with individual table and vintage style lamps. You have so much personal space that it feels like you’re watching the movie by yourself. You almost forget that there are more people with you in the room. They even provide blankets and cushions. A luxurious cinema experience for those looking for a slightly less ordinary way to spend their Saturday night. With comfy chairs and sofas to snuggle up in, they even provide an blanket to make it extra cosy, you can sit back and relax and truly enjoy the film (without running the risk of screaming children disturbing the viewing). Make sure you grab a slice of delicious red velvet cake and a cocktail for that extra indulgent treat. This cinema experience was amazing! I went to see Lion here yesterday and really enjoyed it. I've been to the shoreditch branch and was surprised to see it was slightly different. I didn't like that the diner here was in a separate building and felt like it wasn't connected the cinema. It was also very busy when we arrived 45mins before our film that we couldn't get a table. Luckily the weather wasn't too bad so we could walk around Portobello Market. Another disappointment was the cinema opened only 10minutes before the show which didn't give a lot of time to settle in and buy food. Other than that I loved it! Comfy armchairs and a fun relaxing place to watch a film. When going to the sticky Odeon or kid-filled Cineworld sets you back upwards of £10, why not splash out and for a little more moulah enjoy an experience that's actually worth the money? 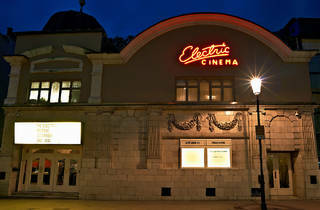 A visit to the Electric has the sense of an event - it's not really for times when you fancy seeing any film on a last-minute whim, but for occasions when you're really anticipating a new film and want to make the occasion into a treat. For us, that was Fantastic Beasts and Where To Find Them, and it was a perfect pick for our first taste of Electric luxury. Visiting on a Monday night was slightly cheaper, and we cosied up under cashmere blankets on our front row beds for the grand total of £27 for two. It was worth every penny, and the 1920s-set Fantastic Beasts was perfect to see in such surroundings. The food and wine on offer was surprisingly good quality, and for the price of a chain cinema's popcorn we each had a main meal. 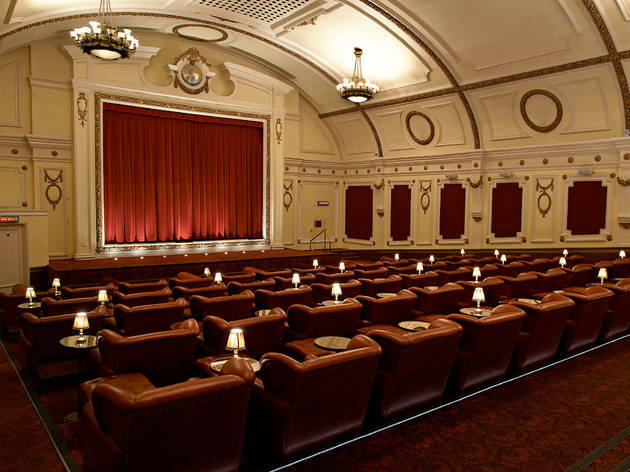 If you're looking for a luxurious, old-fashioned and cosy cinema experience, The Electric is the place to be. One of the best cinemas in London. Great for a romantic evening or if you fancy spoiling yourself. It is a sophisticated setting but in a relaxed way. 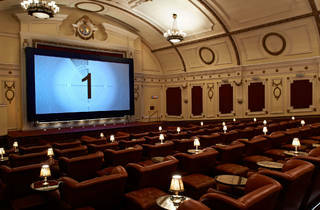 A luxury cinema darling in the heart of Notting Hill! Oh how fabulous! You'll find beautiful plush red sofas with vintage style lamps on your individual tables (perfect for snackettes and drinks) and a deep red curtain which pulls back to reveal the screen. So comfortable, so special, so what shall we see next? I'm not sure if I will settle for a mainstream cinema ever again after this! Exquisite place and a London must-do. Amazing atmosphere and beautiful interior. A sense of luxury from the past. The front bed we had on the right corner had angled view which was slightly annoying but the overall experience was awesome. Just, next time, because there clearly will be, I'll prefer an armed chair or a bed towards the middle. Drinks / food slightly overpriced but they were good. Do book long in advance to avoid disappointment! 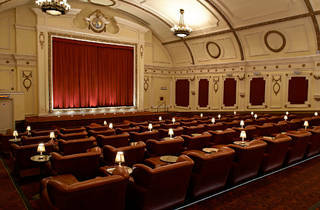 This place is like a home from home - comfy leather seats, foot stools and blankets bring the comfort of your living room to one of the oldest cinemas in London. You really feel like you've stepped back in time. Worth the extra money (from £15 for an armchair, more for front or back row sofas). Something to try at least once for nostalgic purposes if nothing else. Amazing theatre. 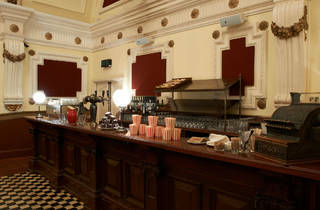 A great way to enjoy a movie in a classic theatre that is totally refurbished. One of my favourite cinemas in London. Always a treat. Cinema the way it should be. Comfy leather chairs and sofas.